Nayong Pilipino Foundation officials once again denied corruption allegations and stressed on the legality of the foundation’s deal with Hong Kong casino resort developer Landing International Development that secured the latter with a land plot for the development of a $1.5-billion hotel and casino complex. 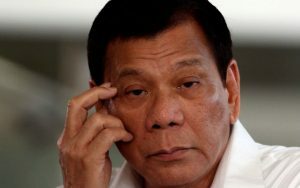 Philippine President Rodrigo Duterte fired earlier this month all members of the board of the state-run organization that was established back in the 1970s to run the Nayong Pilipino cultural theme park located in Pasay City in the Metro Manila area. Earlier this year, Nayong Pilipino Foundation penned an agreement with Landing to lease the land previously occupied by the above-mentioned theme park for the development of an integrated resort with a casino floor, hotels, and multiple non-gambling entertainment options. The site is located within Entertainment City in the Manila Bay area and not far from where the Philippine capital’s three operational integrated resorts have been built. The Hong Kong-based developer broke ground on the property earlier this month. However, President Duterte announced hours after the ground-breaking ceremony that measures will be taken to block the materialization of the mega-plan. 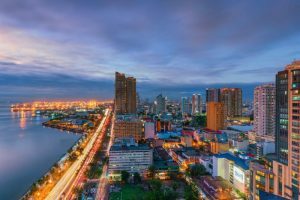 The Philippines’ top official said that the lease deal was flawed and “grossly disadvantageous” as the lease period was “ridiculously long” and the lease rates were too low. In addition, the members of the Nayong Pilipino Foundation were accused of corruption. President Duterte also ordered the Department of Justice to carry out a review of the lease deal. DOJ officials announced earlier today that the probe was completed on Wednesday but refused to reveal more details about the department’s findings. In a written statement released across several local news outlets on Wednesday, the foundation said that it has followed “all procedural and legal requirements” before the project was launched and that its members were “falsely and maliciously accused” of corruption. Under the terms of the deal between Nayong Pilipino Foundation and Landing, the latter agreed to lease the portion of land for a period of 25 years with an option for an extension of the deal for another 25 years. In his comments against the deal, President Duterte has pointed out that it was a ridiculously long one and granted Landing permission to use the land for a period of 70 years and operate a casino on it. And the official has repeatedly pointed out that no other casinos beyond the existing ones would be allowed in the country. The foundation stressed that a 70-year lease period has never been discussed by the two parties and that the initial lease period could only be extended to 50 years if the Philippine Tourism Infrastructure and Enterprise Zone Authority classifies Landing’s development as a tourism project. As for President Duterte’s comments that the lease price was too low, the foundation said that Landing has agreed to pay PHP360 per square meter per month for the 9.57-hectare property and to contribute 10% of the net profits from the three theme parks that are planned to be developed as part of the integrated resort, which effectively raises the lease price to PHP570 per square meter per month. The foundation’s statement further read that Resorts World Manila pays PHP156.66 per square meter per month for the 5.4-hectare site it occupies, a price significantly lower than what Landing has agreed to pay.